On Friday night, the world's most expensive player will face the Premier League Player of the Year as Gareth Bale meets Eden Hazard in a pivotal Euro 2016 qualifier at the Cardiff City Stadium. 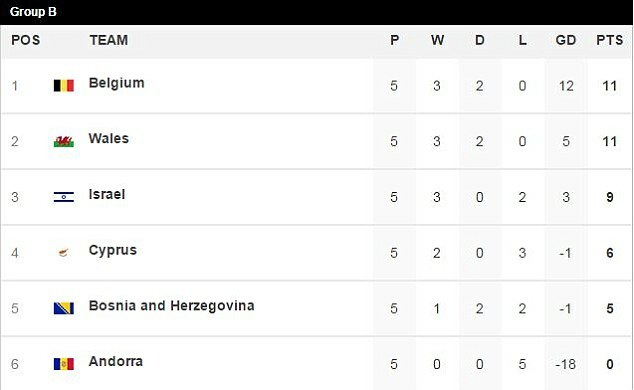 Only goal difference separates Belgium and Wales at the top of Group B. Both have three wins and two draws from their opening five games, and their first meeting in the campaign ended in a goalless draw in Brussels last November. But the game in the Welsh capital will be as much to do with the coming together of two of the world's finest footballers, who have enjoyed somewhat contrasting - albeit statistically similar - seasons. And the performance of Bale or Hazard could go a long way to deciding both the result of Friday night's game and take a significant step forward on the road to France. Last season, Bale appeared 48 times for Real Madrid and scored 17 goals. Hazard managed 19 in 52, with six coming from the penalty spot. The numbers are interesting considering Bale supposedly suffered a poor campaign while Hazard's was widely praised. Since 2012-13, the Welshman's final campaign at Tottenham and Hazard's first at Chelsea, Bale has managed 65 in 136 games in all competitions, while the Belgian has netted 49 in 164. At international level, Bale has managed 16 in 49 caps for Wales - 13 of which have been in competitive action. 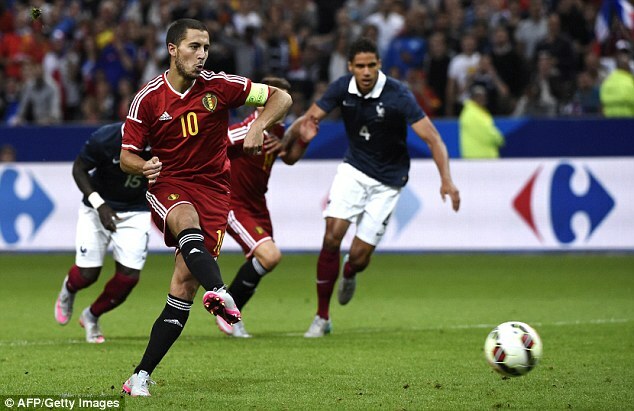 Hazard has just eight in 57 for Belgium, of which four have been netted in friendlies. Bale managed nine assists in 31 games in La Liga last season, with a total of 12 in all competitions. Hazard also mustered nine during last season's Premier League campaign, with two more coming in other competitions to take his tally to 11. The Belgian likes to create goals with neat interplay and incisive passing, while the more explosive Bale likes to use his powerful left peg to whip the ball in to the box for the likes of Cristiano Ronaldo to get on the end of. Of Bale's four goals in Euro 2016 qualification so far, two have been from direct free-kicks. He was also well noted for scoring some absolute belters from set-pieces at Spurs. Getting the ball off Ronaldo at Real to take a free-kick, however, has proven a difficult proposition for the 25-year-old. Hazard is far from a prolific free-kick scorer for Chelsea, which is somewhat surprising considering his technical qualities. But from the penalty spot he is lethal. Last season he netted six from the spot and missed just one in the Premier League against Crystal Palace in May. But he duly tucked away the rebound for the only goal in a 1-0 victory. Both players are excellent dribblers, but there is a significant contrast in the way they like to carry the ball. Bale likes to run at a defence with pace and power, something he did not do enough of in the second half of last season as his confidence floundered, while Hazard is a more two-footed player who uses his balance and poise to carry the ball away from the opposition in the tightest of spaces. Their styles may differ, but both are equally remarkable to view in full flow. 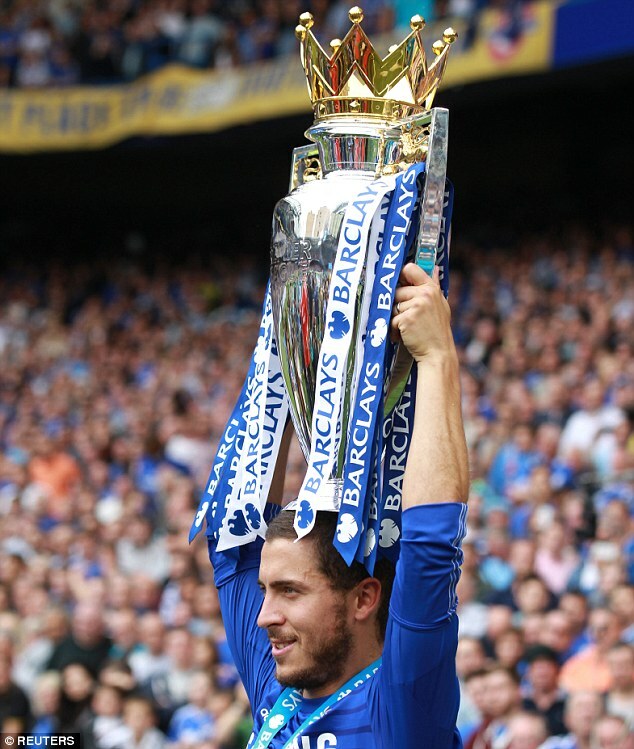 Hazard has won a Premier League title, a League Cup and a Europa League at Chelsea. While he also collected a Ligue 1 title and the French Cup in 2011 with Lille. Bale never managed to win anything with Spurs, but a Champions League, Copa del Rey, Club World Cup and UEFA Super Cup have since followed with Real. Diego Costa's goals aside, Hazard is undoubtedly the main man now at Stamford Bridge. Back-to-back club Player of the Year awards prove that. At international level, however, he is one of many star Belgians who currently play for the side that FIFA rank as the second best in the world. With the quality they possess they could probably just about cope without him. For Bale, it will be a little while yet before he gets the chance to emerge out of Ronaldo's shadow at club level. But for Wales, he is No 1. If the Welsh are to make it to their first major tournament since 1958, Bale will have to be at his very best. Belgium boss Marc Wilmots on Hazard: 'I've once played a charity game with Zinedine Zidane. It was crazy. The ball was a part of him: nothing was impossible. 'I've the same feeling when I see Eden playing. He's so valuable.